I crack up every time I see this picture! 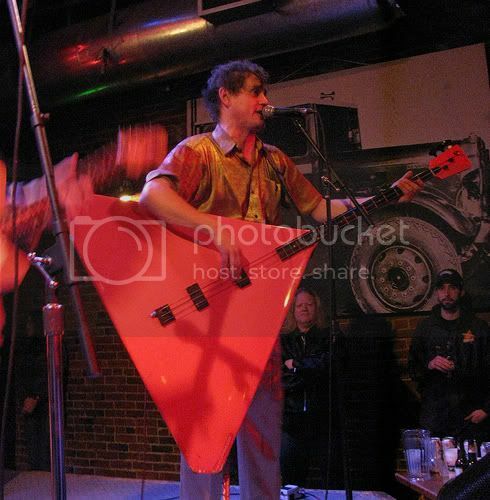 It's the bassist of the Red Elvises! Wow, now THAT is a big bass. This one reminds me of The Who's bass player-just revamped with metal. hey kingmedicine, apparently the website that hosts the image that you linked doesn't allow hosting images on other sites.. Although my friends don't approve, I'm a huge fan of the Steinberger XT-25L. It'll grow on them. I have a Rickenbacker 4003 Bass, Black! Lovely!